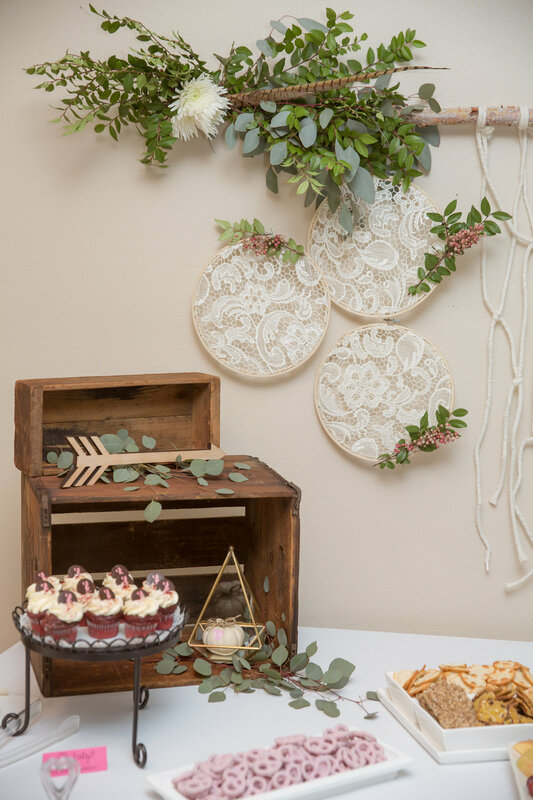 What do you get when your Sister-in-law is a Photographer, Your childhood BFF is a Wedding/Event Planner and your Mother-in-law has a gorgeous house that resembles something out of a magazine?! 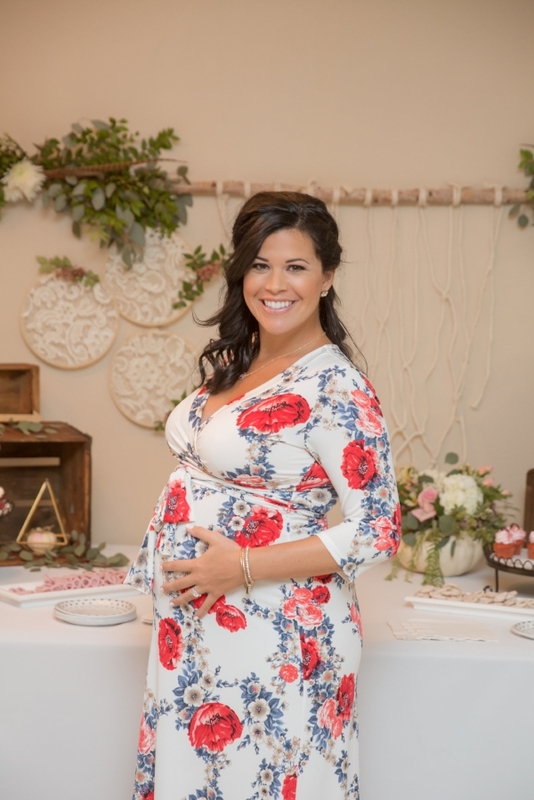 Well, one LUCKY Mother-to be (haha)... and this gorgeous Baby Shower! Jamie and I have known each other forever...from day one, we were as close as sisters! So you can imagine how excited I was when she told me she was expecting a bundle-of-joy! 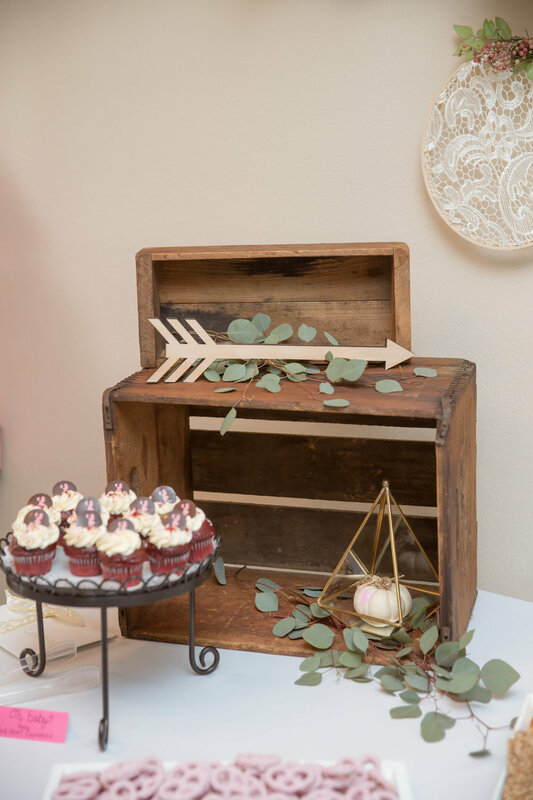 We wasted no time pinning and planning this Boho Chic Shower! 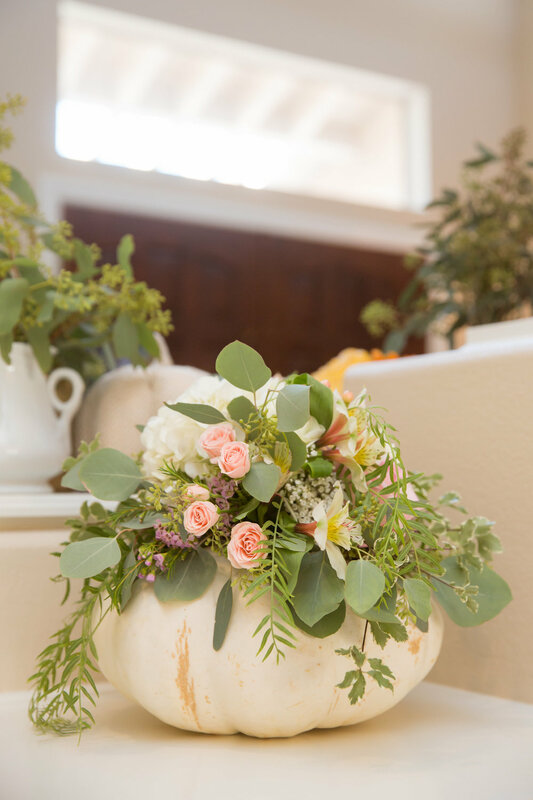 The design aesthetic is Bohemian with a touch of Fall decor, which means lots and lots of pumpkins! The color scheme includes soft pinks, whites and gold accents. Did we mention greenery? Oh yes, bring on the greenery! I took on a challenge for this event, I became a florist! I got a little wild and tried to create an arrow out of greenery, I hope I pulled it off (thanks Janet for the idea lol). I have to say, this event was a blast...one of my favorites thus far! 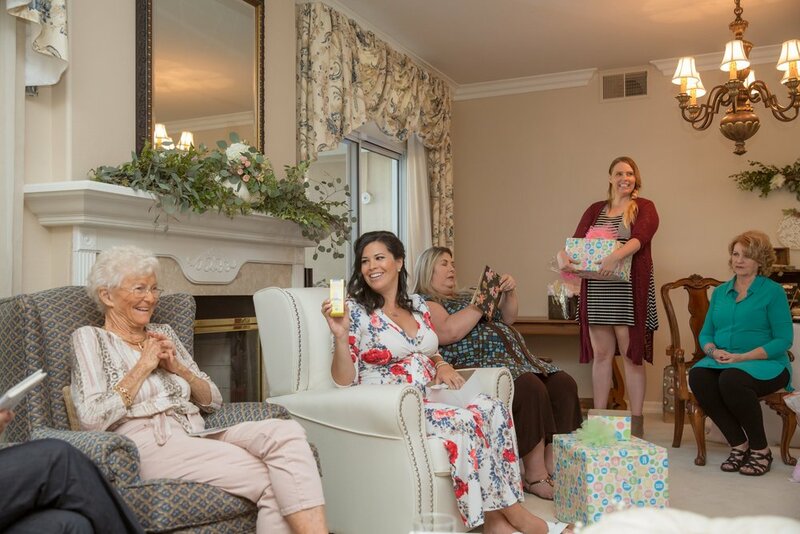 As you can tell from these pictures, this GORGEOUS Mother-to-be is surrounded by so much love and family! Huge shout-out to everyone who had a part in contributing to this special day. We can't wait to meet you baby Lohr (her name is still a secret... i mean unknown lol)!